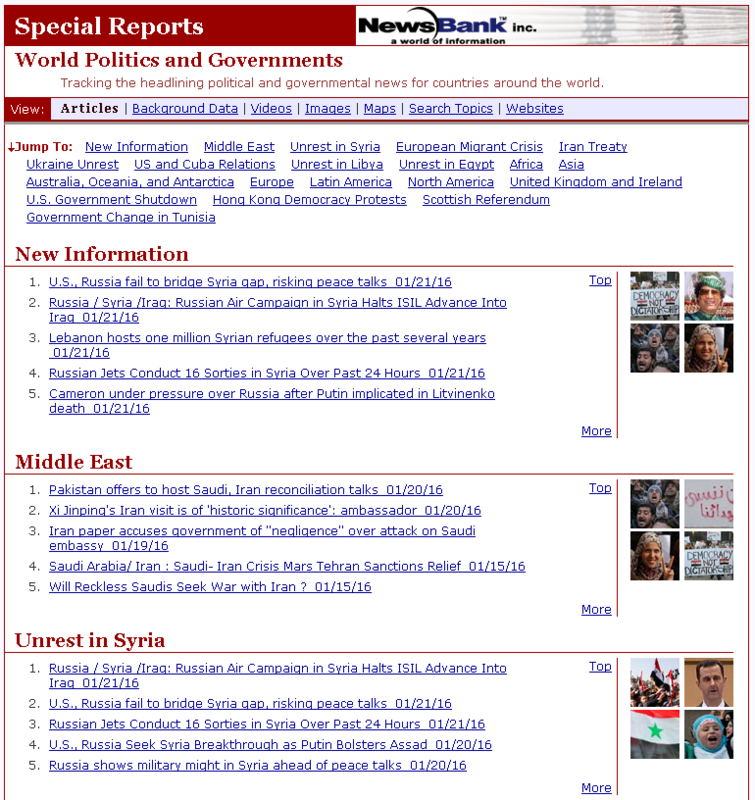 Q. I need info on the political history of the Middle East: Syria. 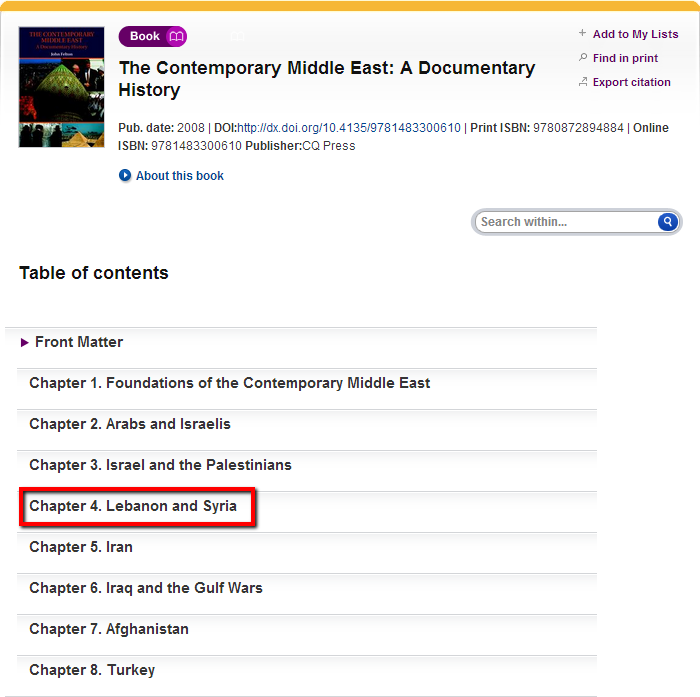 I'm doing a research paper on Syria and my instructor said to look for info in the library. 1. 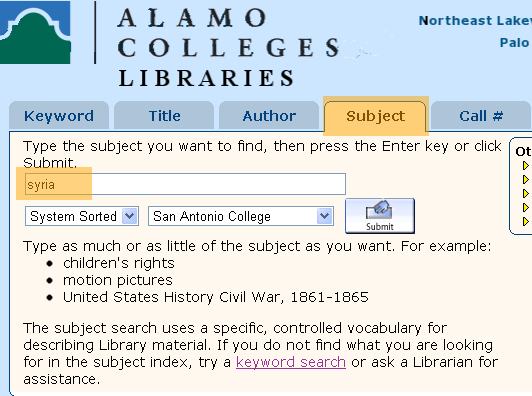 For historical info, CQ Press Library is the database for you! 3. 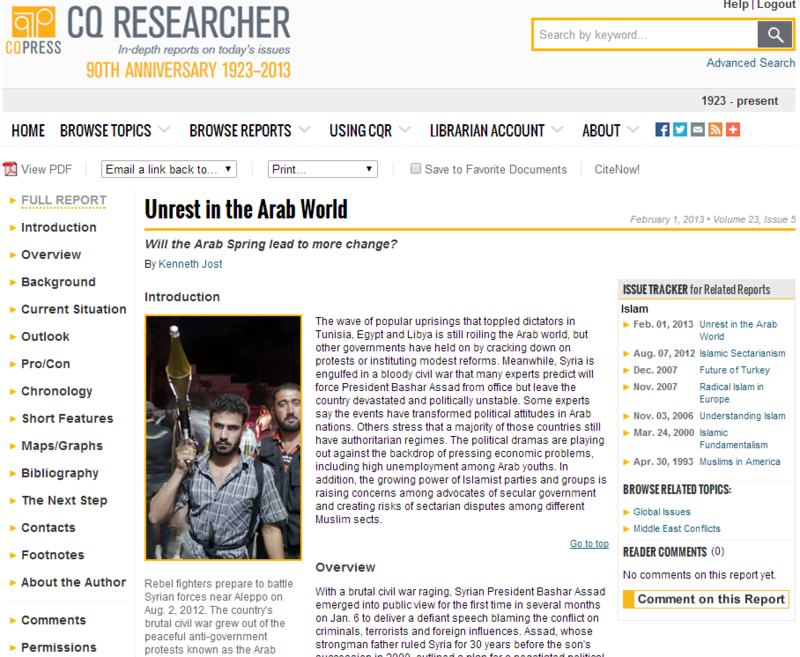 There is an in-depth report called Unrest in the Arab World located in your CQ Researcher database.